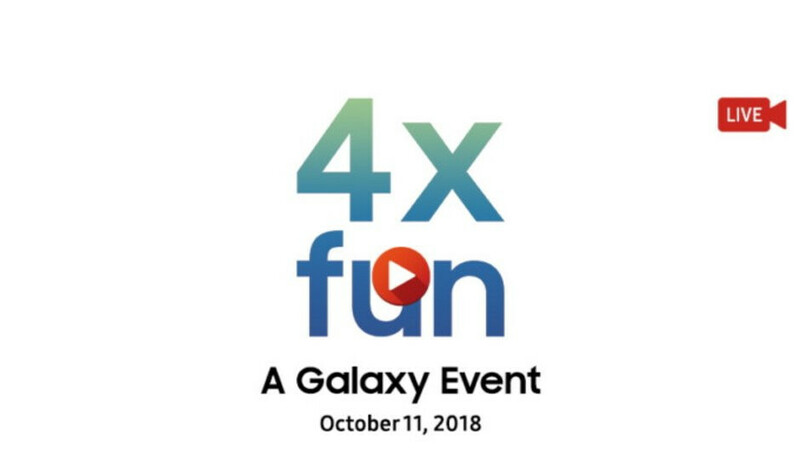 Samsung has been teasing us with a mysterious "4x" event for a while now, scheduled for tomorrow, October 11, and is now letting us know how to tune into the live stream (spoiler alert: the usual channels). The stream will take place at 5am Eastern Time/2am Pacific, or, way too early for the US, but we'll follow it for you, and all details will be relayed for when you wake up. 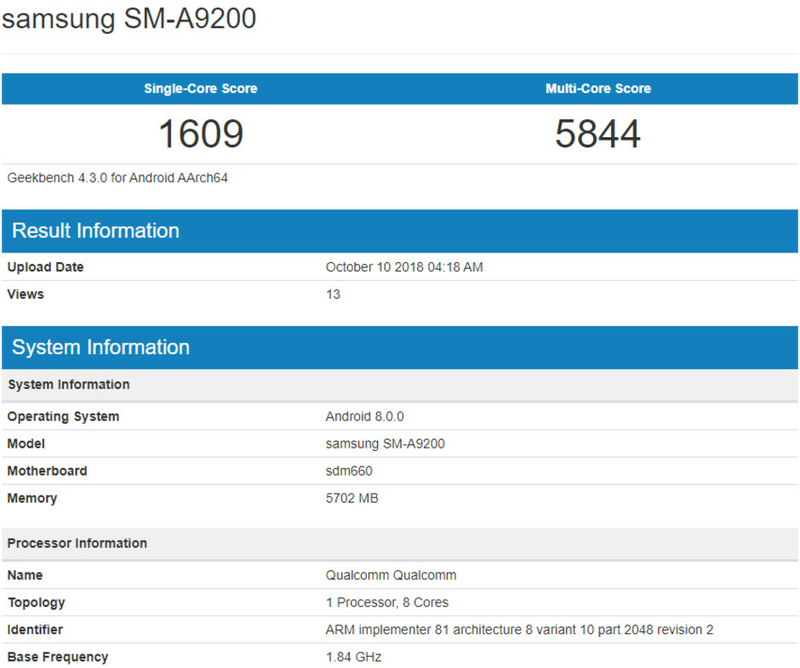 Of more interest, however, is that the expected Samsung phone's specs sheet got confirmed courtesy of the SM-A9200 model number appearance in the Geekbench database. Tipped to be of the Galaxy A9s, precisely the "4x" phone Samsung may unveil tomorrow, it is listed with the whopping 6GB RAM, a pretty high amount for a midranger, but a Snapdragon 660 chipset. Samsung did promise to bring high-end features to its midrange crowd to battle the assault of Chinese brands on its traditional markets, and the Galaxy A7 (2018) is a living proof with its triple-camera set. The company is also tipped to bring wireless charging downmarket, too. The "4x" in the Galaxy A9s event teaser, however, is rumored to mean four cameras, and recent speculation suggested that it won't be two at the front and two on the back, but rather all at the rear, too. To wit, the A9s is said to have a regular 24MP OIS sensor, 5MP depth-sensing one like on the new A7, an 8 MP wide-angle camera, and the new extra is a 10MP telephoto shooter for optical zooming. The event is set in Malaysia, though, so the A9s will probably be destined for the Asian market anyway, but may hold hints what Samsung is planning to do with the Galaxy S10 trio in its turn. Why have a useless depth-sensing camera when the telephoto and wide-angle lenses can do that work themselves? And since this will probably be around $500, it better have SD 710 atleast.